Looking for a custom ticket package to a Canucks, Seahawks, or Lions game? Give Be A Fan a call! 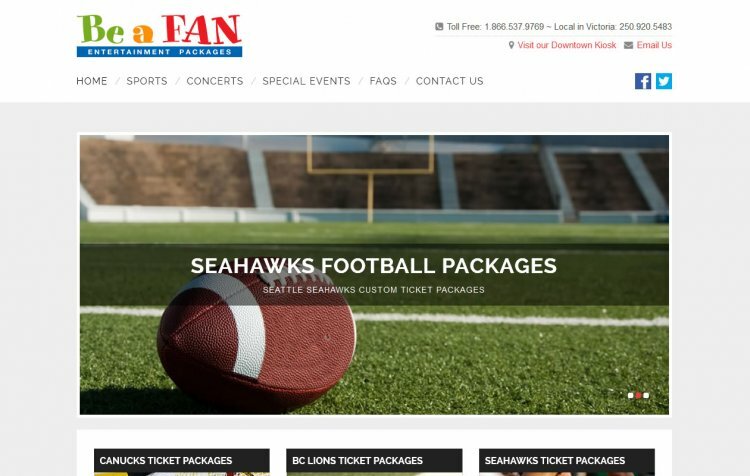 Locally owned and operated in Victoria, they offer ticket/hotel and ticket/dinner packages for Seattle Seahawks, Vancouver Canucks, the Seattle Mariners as well as ticket/hotel packages for a wide variety of concerts.